a. There are significant workflow improvements that can be achieved that are not possible or are very hard to do with “standard” PACS systems. Examples are, doing efficient image exchange; having universal worklist reading from multiple, disparate PACS systems; having an elaborate pre-fetching algorithm that makes sure you pull all prior studies; having optimal mapping of your HL7 based orders into a DICOM Modality Worklist that supports an effective technologist workflow, and several others. d. VNA installations are maturing, and now provide full control over the image archive to the end-user instead of locking the data up in semi-proprietary vaults, which required the user to keep on purchasing additional licenses for blocks of studies to be archived and/or accessed. There are still challenges, as we find out how much proprietary information typically flows in between the various PACS components, but there is no question that the deconstructed PACS is here to stay and a good solution for larger organizations with good in-house IT and clinical support. 2. The deep learning or machine learning hype, which are both forms of Artificial Intelligence has spread to radiology causing more harm than good at its onset. A story in the September 2016 Journal of the ACR stated that it could end radiology as a thriving specialty. As Dr. Eliot Siegel from the Baltimore VA stated in the controversial session “Will Machines Replace Radiologists?,” he is already getting emails from residents asking him if they should quit the practice. A Wall Street Journal article published on Dec. 5 discussed the AI threat and dismissed its short term impact based on three barriers: the lack of huge sources of data that are needed to “teach” these supercomputers the rules, the small incremental improvements (one or two percent) that are achievable that are not necessarily significant enough to justify the initial investment, and the lack of personnel to implement all of this. There is no question that improvements in technologies such as CAD will spread its use outside the common application of detecting lesions in breast imaging, and that radiologists could use computers much more effectively such as for automating reports using structured measurements from ultrasound. But replacing radiologists with computers will take a while, if not a couple of decades. data. In other words, we need a DICOM “wrapper” that allows this, and that can encapsulate the most common standard formats similar to what is done by “wrapping” a pdf file into a DICOM file format. This activity is expected to give this application a major boost so that these objects can be properly managed. technical challenges with regard to DR technology that are showing signs of being solved in the next two to three years. These have to do with the top reasons that these plates are currently failing. The first one is weight and lack of robustness, which has to do with the fact that the detector is using glass as its main component. The same technology that is currently being used to create thin TV screens that are bendable should resolve this issue and result in super light-weight detectors. The second challenge is to make these detectors completely waterproof so they can withstand body fluids. The third challenge has to do with the way that the detector array is soldered, which should be manufactured in a more robust manner. Given the recent regulations by the US government to encourage DR replacements of CR, the volume should be going up, which should bring the price down for a plate from around US $50,000 to an average $25,000 and even lower. We are not quite there yet, but the next few years should provide some major improvements and cost reductions. 5. Multi-modality integration is becoming more popular including such dual imaging devices as the PET-CT, PET-MRI and even using SPECT. In addition, it is also possible to integrate an ultrasound with a CT scan by connecting a dual camera to the probe and registering it with a prior CT scan. 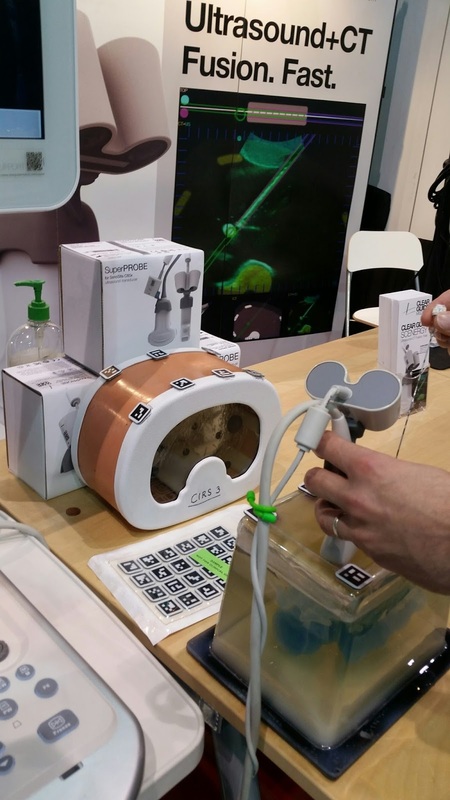 This could potentially even replace the often-used practice of using an X-ray fluoroscopy (C-arm) for visualization of needles inserted into a patient. practiced, resulted in a careful optimism. 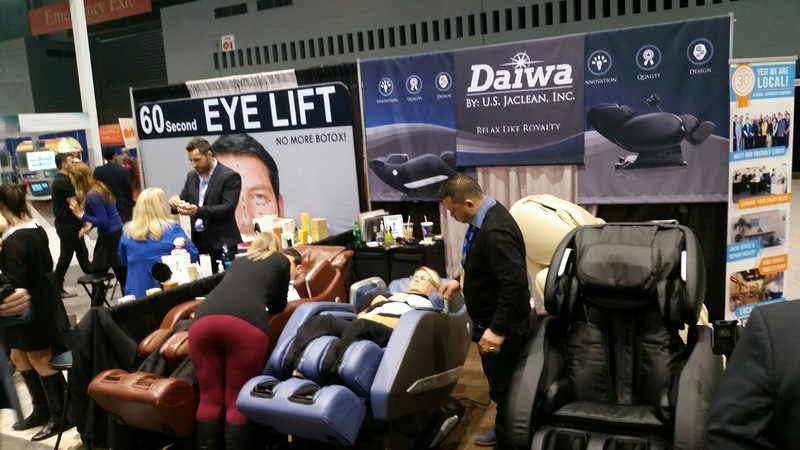 As always, I personally enjoy these tradeshows as there is no better way to get updates, talk to many peers, learn a lot and know what is going on in the industry than walking the aisles! This is the first part of the deconstructed PACS (Picture Archiving and Communication System) series; for a full featured presentation you can look at the video. This part covers the “what” of this phenomena. a best-of-breed solution for the different PACS components as opposed to a single-vendor PACS. As will become clear in the discussion below, there have always been variations of deconstructed PACS systems implemented, but over the past few years, the degree to which the PACS systems have been split up and the range of components being sourced from different vendors has been increasing. As of today, it is estimated that less than 5 percent of the installations are truly deconstructed, and there is still a lot to be learned about the support, return on investment, and what scenarios result in a good solution. Therefore, the deconstructed PACS is still relatively early in this evolution of PACS technology, and is no longer considered “hype” based on the amount of discussion and interest it gets at tradeshows and in user group discussions. To explain what a deconstructed PACS system is, let’s start with a typical PACS system core architecture. The core has an application that manages the incoming images and related information, checks them for integrity, and sometimes, depending on the vendor, requires a technologist to “verify” them before they are added to the PACS database and archive and become available for physicians to interpret. The core also has a database/archive to allow for querying and retrieving the stored information and typically some type of Information Lifecycle Management (ILM), which implements retention rules. A radiologist can access the images to perform a diagnosis through a workflow manager, which provides a customized worklist to the radiologist, depending on the specialty, and synchronizes this list with other users who access the images. Referring physicians and specialists typically access the images for review using a web-based or some type of thin client or zero-footprint viewing interface. One of the relatively common applications of a deconstructed PACS covers the use case whereby a radiologist needs to read for multiple institutions that have PACS systems from different vendors. Instead of having to log into different PACS systems using their proprietary workflow manager interface and dealing with multiple worklists, one can use a third party universal worklist provider that will provide a unified worklist. A second example of a deconstructed PACS is where the database/archive is provided by a different vendor than the PACS system through a Vendor Neutral Archive (VNA). In its pure role, a VNA is a replacement for the PACS image manager/archive, which allows for a new PACS system to be deployed relatively easily as it reduces data migration issues. Note however, that it will shift the migration issue to when the VNA needs to be migrated, so this advantage could be overrated. The main benefit of a VNA is that it shifts the data ownership to the end user as several PACS vendors would store the data into a proprietary format and not even provide the database scheme to the end users. Typically, one keeps the PACS database/image manager in place, which stores the data for 6-18 months for ready access by the radiologists. Synchronizing changes, deletions and updates of the images between the PACS and VNA is still an issue, it is addressed by implementing one of the standard IHE profiles called IOCM, but support is still lacking. An issue with VNA implementation is to decide the dataflow, i.e. are images sent first to the VNA and then to the PACS or vice versa. The same applies for physician access, should it be from the VNA or PACS? Also note that the VNA has become much more than just a simple PACS archive/image manager extension as it is also often used as an enterprise archiving solution which can potentially manage non-DICOM objects, deal with multiple Accession Numbers and patient ID’s, and perform sophisticated data clean-up using tag morphing. A fully deconstructed PACS therefore typically has a workflow manager and image manager/archive from different vendors in addition to the diagnostic workstation and even the physician viewers. One could even argue that there is no need for a traditional PACS vendor anymore, assuming that the VNA is taking the role of the PACS image manager/archive. · Prefetching and routing: most PACS systems provide routing capability, however, not always to the level of sophistication needed. · Image QC: one could purchase QC workstations that provide auto merge/splitting of studies, allow for reprocessing CR/DR images and fix information in the header using a modality worklist feed. · Diagnostic display: this is the main reader for generic radiology reading (CT, MR, CR/DR, US), but for some specialties such as digital mammography supporting breast tomosynthesis, nuclear medicine, including image fusion, and cardiology showing non-image data there might be a need for a workstation from different vendors. · Physician display: web-server solutions from third party vendors have been available for some time; especially when looking for tablet access and zero-footprint solutions there are quite a few other options. · Audit trails and Security/privacy: this is typically done by each vendor in a proprietary manner, i.e. they provide authorization and access controls and log all accesses. Some vendors have a totally promiscuous interface, i.e. they allow anyone to access the PACS core, something that can be prevented by programming the network routers. Audit trail recording can be done using an external ATNA repository which can be shared by multiple ATNA sources. 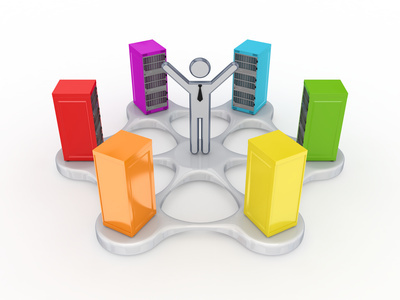 · System administration: this addresses fixing broken or unverified studies, merging or splitting them to match orders, body parts or specialties and running database reports about storage usage, performance and availability. There are a few third party vendors that can provide some of these features, most of them are tied to the specific vendor. · Disaster recovery, high availability and business continuity: Many institutions have solved this by using a cloud storage solution. · Order processing: Many PACS vendors offer an integrated RIS/PACS or have the PACS worklist created by their RIS. In the majority of the cases, the RIS and PACS have been reconstructed. As a matter of fact, most of the order entry and processing is shifting to the EMR. 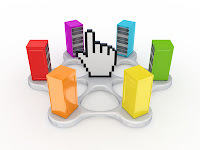 · Modality Worklist Provider: Most initial PACS systems were using an external modality worklist provider aka connectivity manager or broker. This takes in the HL7 orders, which are kept in a small appointment database and provide a reply to the modality worklist queries. There seems to be a trend to take this out of the PACS system as there are often limitations in the sophistication and amount of worklist filtering that can be provided. 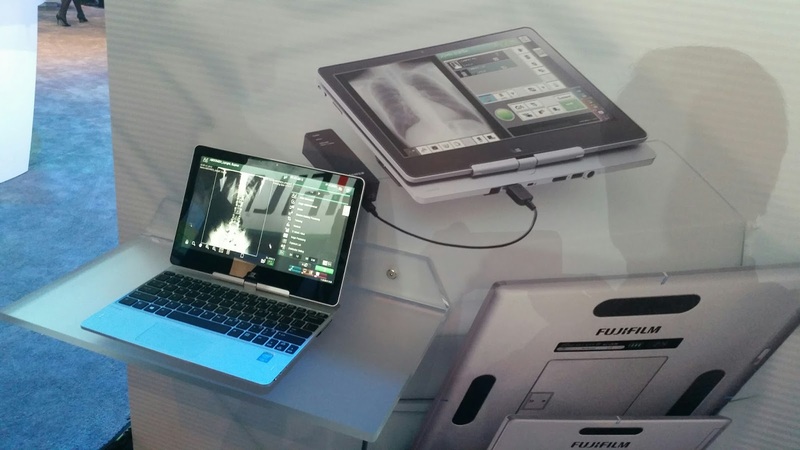 · Dictation: even although many PACS systems are tightly connected with only one or at most two voice recognition systems, some radiologists prefer to work with a different manufacturer. 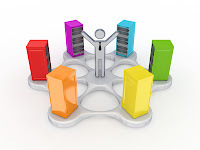 · Report storage and distribution: some vendors store reports in the PACS, some in the RIS, and some in a broker, but it appears that the trend is to store them in the EMR. · Inter and intra image sharing: there are many solutions for this including portals, but many institutions opt to outsource the inter-facility image sharing to external companies to provide physician access. · Critical results and discrepancy reporting: this is often built in but can also be added on. · Clinical trials management: this can be added on by having a gateway that takes care of anonymization and adding the clinical trial identifiers. · Teaching files: many users opt for an external solution, especially as it can be kept even after a PACS vendor has been replaced. · Peer review: there are third party solutions for selecting random studies on a predetermined date and assigning them to a list of qualified radiologists. · Dose and contrast management: radiation dose registration systems and in the future contrast management systems can be added on. · Decision support: this is a new area, vendors are starting to offer data mining to provide decision support for physicians. · Interface engine: some vendors integrate a HL7 interface engine with their product, but most of them provide an external vendor for this. In conclusion, deconstructed PACS systems, aka “best-of-breed” have been around since PACS started, although maybe not to the degree as currently being implemented. The definition of a deconstructed PACS is vague and subject to interpretation by the vendor defining it; it can include one or many core or ancillary components. Remember that it is still a PACS, the basic functionality does not really change, both a deconstructed or reconstructed PACS does the same job. It is recommended that you look at your PACS system in case you need to have additional functionality, such as peer reviews, decision support or dose registration and consider third party vendors. If you are looking for a PACS replacement, you might even consider purchasing one of the core components from a different vendor. However, be careful, and look at the do’s and don’ts section of this series. SIIM 2016: My top ten take-away’s. 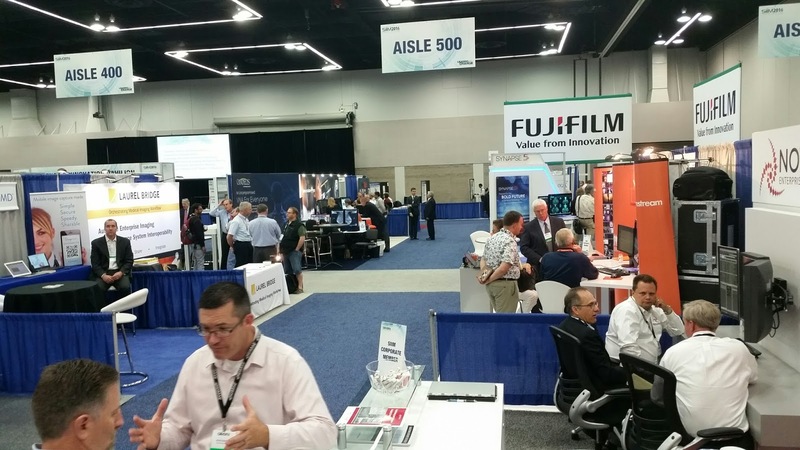 a major turn-around from past years as attendance was up, the quality of the presentations significantly improved with regard to being current and interesting, and vendors getting quite a bit of traffic in their booths. 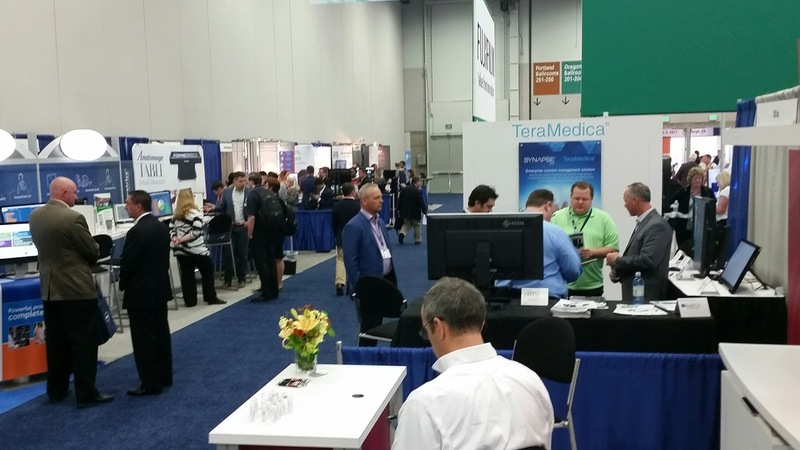 The messages were predominantly positive, unlike the doom and gloom from last year’s “PACS is dead” messages, and many of the sessions were standing room only, especially those dealing with enterprise imaging and anything to do with deconstruction of the PACS. SIIM seems to have started to reinvent itself, albeit slowly. 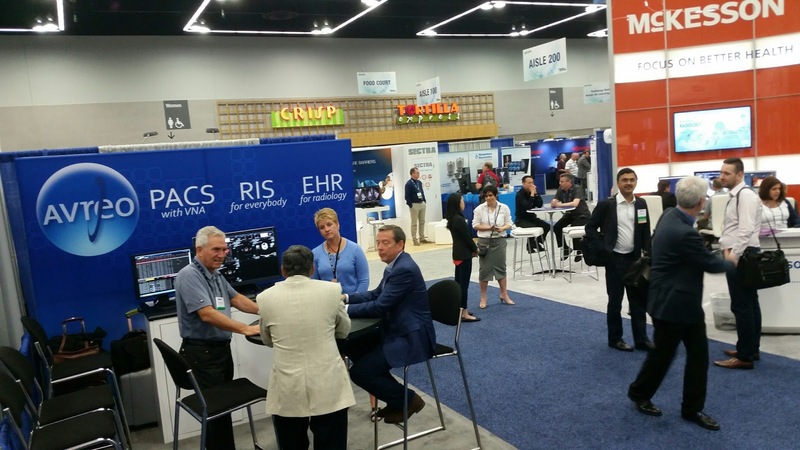 The collaboration with HIMSS, a great initiative, resulted in publication of several high-quality white papers about enterprise imaging, which are freely available. I would have added lifecycle and/or content management, image management, other communication such as critical result reporting and discrepancy reporting, and peer reviews but this list was useful to show that a PACS system is not just about image communication and archiving. 2. 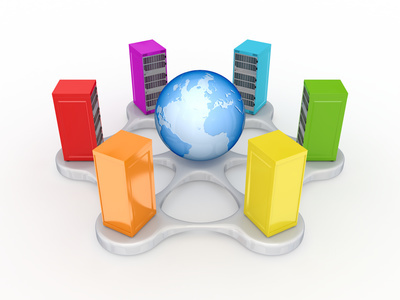 VNA – Vendor Neutral Archives (VNA’s) are increasingly being installed and are getting more mature. Most of them are now implementing IOCM (Imaging Object Change Management), which is the IHE profile that synchronizes a PACS with the VNA with regard to changes and updates as well as deletions of the images and related information. Challenges with deploying a VNA are mainly with the integration of specialties, especially those who create non-DICOM objects such as PDF’s, JPEG’s, MPEG’s or other file formats. The traditional radiology and to a lesser degree the cardiology workflow, where everything is scheduled and ordered and managed on a procedure level, does not quite fit the other specialties hence these issues arise. Images are typically managed on an encounter or visit level, identified with a visit number instead of an Accession Number. Prior to image acquisition, a modality might need to query an EMR to obtain patient demographics using HL7 messaging instead of having a DICOM modality worklist available. There is definitely a learning curve involved with implementing this in these other departments especially with the modified workflow. In addition, there are issues with regard to the integration of the results, especially for the EMR. For example, ultrasound images created by an anesthesiologist might not belong in the same place where the diagnostic ultrasounds are managed and displayed, but, rather as part of the surgery notes. When deploying these devices for enterprise imaging to include many different specialties, these kinds of issues will surface, which is to be expected and part of the learning process. 3. 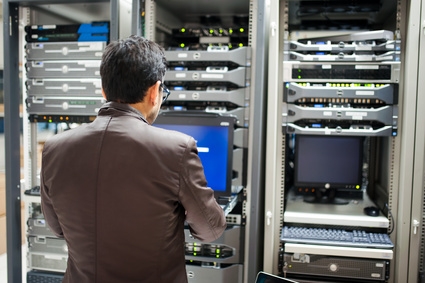 DIY migration – Image migration is a fact-of-life as many institutions are at their second or third generation PACS, which in many cases means changing vendors. 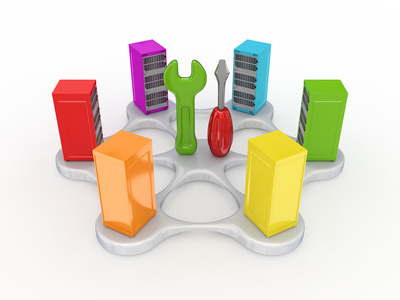 The reasons for changing vendors are typically driven by the need for increasing or adding different functionality, reliability, service and support issues, financial considerations, or in many cases the perception that another PACS vendor will magically solve existing issues that in many cases have nothing to do with the vendor but everything with how the system is used and managed. Regardless, migration is a fact of life. When migrating a PACS archive, which can take months and in many cases more than a year, it becomes obvious how good your previous PACS was managed. Orphan images, un-identified studies, and other issues with the DICOM objects will surface when trying to add these to a new archive. Support for non-image objects such as Key Images, annotations and presentation states might be lacking or have limitations. Migrations used to be performed by the new PACS vendor or specialty companies, however, to save cost, more users are doing it themselves. One can purchase a software migration controller that queries the old archive and manages the image transfer potentially fixing DICOM tags or purchase a VNA that has this capability built in. DIY or Do It Yourself migration is definitely an option, instead of paying a lot of money to your PACS vendor or a migration vendor. 4. Evolution of middleware – Many PACS systems, including VNA’s, have limited routing capabilities, lack the capability to change tags to identify the origin (i.e. institution and/or modality), manage duplicate Accession Numbers or coerce parameters in the header that impact the workstation hanging protocols such as the study or series descriptions. 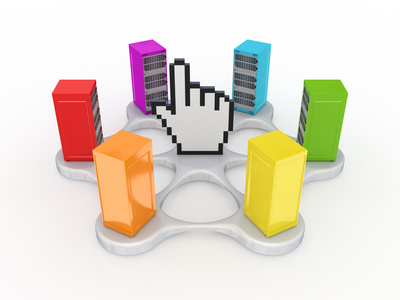 Hence the advent of middleware vendors who can provide these capabilities. Note that most VNA vendors do provide quite a bit of this functionality as they are used to performing tag morphing to preserve their image integrity, which can be jeopardized by having multiple PACS as a source, but most PACS systems do have limited functionality with regard to changing the image data and/or doing sophisticated routing. The good news is that there are several vendors that fill this void and provide the middleware to integrate a PACS with other PACS systems or VNA’s, and provide intelligent routing and tag morphing. 5. 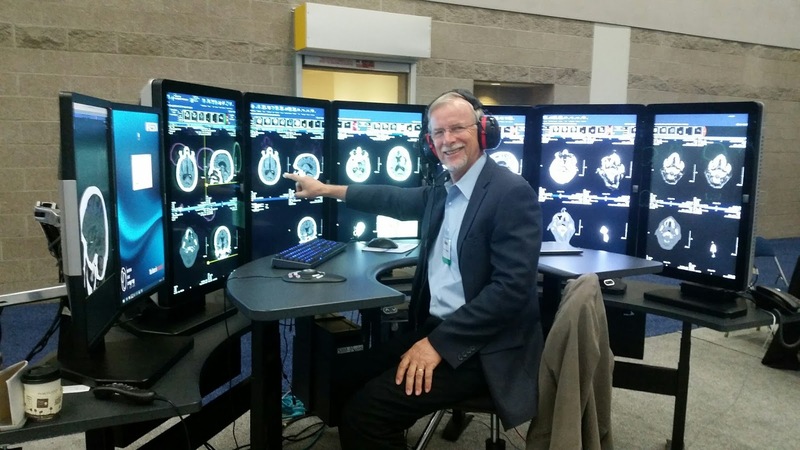 The ultimate radiology workstation – The first PACS workstations were designed to mimic a film alternator, resulting in a row of four to six monitors or even two rows of four on top of each other. In the early years, these were CRT monsters, very heavy, and from a PACS administrator’s perspective, a “pain in the back.” Eventually, these configurations dwindled down to a two-monitor medical display configuration combined with a color text monitor for worklist display, looking at ultrasounds, and report creation. The reason for the second monitor is that radiologists were starting to look at CT and MR in a stack mode, virtually integrating the 3-D space in their minds by replaying the 2-D axial slices in a CINE mode. However, there is a need to also look at prior studies, and, in the case of CT ad MR, different reconstructed views (MPR, 3-D etc. ), which again, asks for additional real estate. The circle has come around again by adding more and more monitors. This combined with an adjustable table that allows for a combined sitting/standing workplace and an acoustic work environment that provides a noise-free background, the work environment of a radiologist has become much more ergonomically sound. Also note in the illustration the use of a chair that can rotate and always provide a perpendicular view to the monitor. More research is needed in this area, but given the increase of occupational injuries caused by having a fixed, non-ergonomically designed work environment with multiple monitors might become a necessity. 6. FHIR update – The FHIR standard, which is the protocol that provides a web-services based interface to healthcare systems such as an EMR, PACS archive, and other information resources, is coming along well. The problem with this standard is that it is still very much in a developmental phase, as a matter of fact, its official term for the latest version is DSTU 3.0, which means Draft Standard for Trial Use version 3, meaning that it is not finalized yet. The standard relies also on a set of so-called resources that are accessible in a standard format which are also not quite finished yet. Lastly, there are many options in the standard, which makes conformance a challenge, in addition to the fact that there is the version issue, i.e. is the interface based on version 3.0 or a predecessor? In the meantime, recommendations and/or standards including federal guidelines are being defined based on FHIR requirements. It seems as if FHIR is definitely moving up on the hype curve, but there is serious concern about the potential “bleeding edge” effect when there are going to be real-life implementations. So far, there is good feedback from hackathons and trials, but real-life implementations are still scarce and support from major vendors still in the works or in beta. It might make sense as a user to have a wait-and-see attitude about early implementations. 7. DICOMWeb – The DICOM protocol has not changed since its initial definition in the early 1990’s. It does not have to, as it is robust and has a large installed base, as pretty much every medical imaging device supports it. There are many toolkits that allow for an effective and easy implementation supported by various operating systems and computers. However, the protocol is not that efficient for exchanging information over the web, i.e. to be displayed in browsers and mobile devices, which is getting increasingly important with the requirement to display images in an EMR. Therefore, similar to the HL7 standard, which added a web-based version called FHIR, the DICOM standard has added several options to allow use of web services, generally called DICOMWeb. The first generation called WADO (Web Access to DICOM Objects) has been around for quite some time, which basically is a http call for a DICOM image, the second generation added queries (QIDO-Query based on ID for DICOM Objects) and store (STOW-Store Over the Web). One should realize that these additions only impact the protocol, i.e. how the data is exchanged, and not the data formats, including the header definition. Also, one should realize that these additions are for an initial relatively small set of applications related to mobile access and most likely EMR functionality. 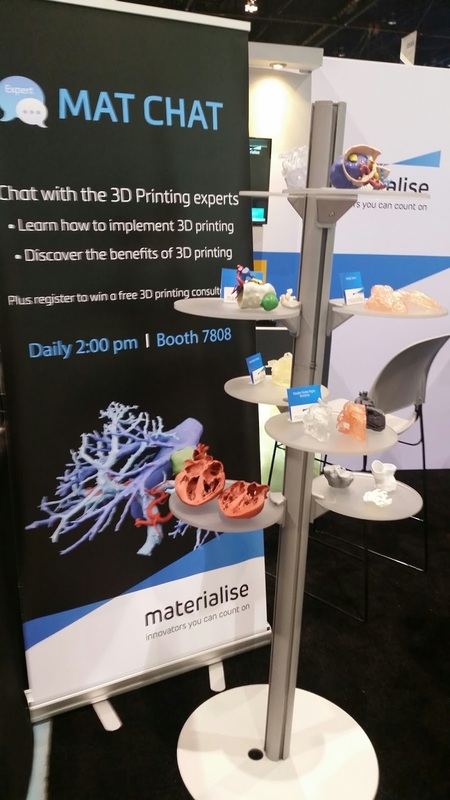 It is generally understood that the vast majority of DICOM applications, especially the connection of the digital modalities such as the CT, MR. etc. will still be using the conventional, robust and proven protocol. DICOMWeb implementations are also in the prototype phase. 8. XDS – Cross-Enterprise Document (and image) Sharing is a set of profiles defined by IHE to exchange documents and images. There has been widespread implementation in the UK, however, in the US it has been piecemeal, even though most PACS and VNA vendors support it. The standard is relatively mature. There were some initial issues around the definition of the metadata that has to be submitted with the information to be exchanged, as the identifiers used to manage information within a department (e.g. Accession Numbers) and enterprise (Patient ID’s) are not sufficient to identify an image or document uniquely among different domains. Information such as specialty. and patient cross-referencing is necessary. The good news is that in the US there are modalities to start doing XDS document submissions, mainly of non-DICOM objects, such as PDF’s and JPEG’s to for example a VNA. 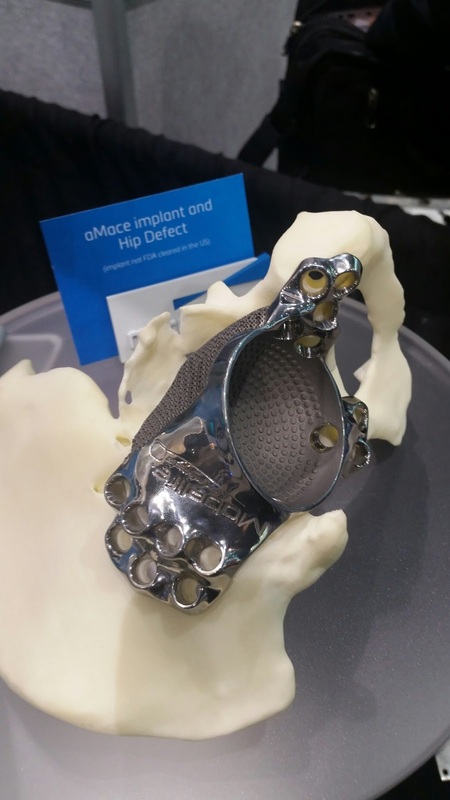 Interestingly enough the integration of multiple non-radiology specialties creating these non-DICOM objects might drive a more widespread adoption of XDS. is a need to reconcile multiple ID’s that are issued by the various institutions. The US did not implement a universal patient/person identifier, which was actually part of the initial HIPAA regulations in the late 90’s due to privacy concerns. But even in countries that have a universal patient identifier, such as Canada, and many European and Asian countries, there are always cases where reconciliation is necessary because a person might not have an ID (think an illegal alien) or does not have his or her ID card when admitted to a healthcare institution. For example, in Canada, which has a so-called healthcard with a unique ID, there is still 2 percent of the admitted population that has incorrect or missing information. To reconcile a patient who has different local patient ID’s, there are two methods, i.e., deterministic and probabilistic. The first method assumes a match based on a known relationship such as a universal patient ID, the second one assigns a weight factor to each of the items in a list of demographic characteristics such as the name, birthdate, ID, gender, postal code and phone number and, if the result is higher than a certain probability threshold, declares a match or mismatch. The province of Ontario in Canada has currently four regions where information is shared and has experience with both methodologies. After matching almost 4 million patient records, it determined that .9 percent of the cases using a deterministic method resulted in an “uncertain match” and .39 percent in a mismatch. These mismatches were reported back to individual sites to allow for them to improve their match rate. Bottom line is that with both the deterministic and probabilistic method, mismatches can still occur requiring QA procedures to minimize these occurrences. 10. Pathology – Digital pathology is very challenging and its implementation is trailing behind successful implementations in Europe. The main reason is that there is no FDA approval (yet) for this application requiring institutions to do dual interpretation, i.e. needing to perform a diagnosis based on the physical slide as well. There is a DICOM standard defined to encode these types of images that are created by a scanner, however, support is rare if non-existent. Even if approved, there are major implementation challenges based on the huge size of these exams and subsequent demand on infrastructure, archiving, and image display and manipulation. FDA approval is an initial and necessary step, but there are many other issues, including workflow challenges and initial resistance from the pathologists who have to get used to looking at these images on a monitor instead of through a microscope. Even though there are a few institutions starting to implement digital pathology, widespread adoption in the US is still several years down the road. In conclusion, SIIM2016 was a good meeting. 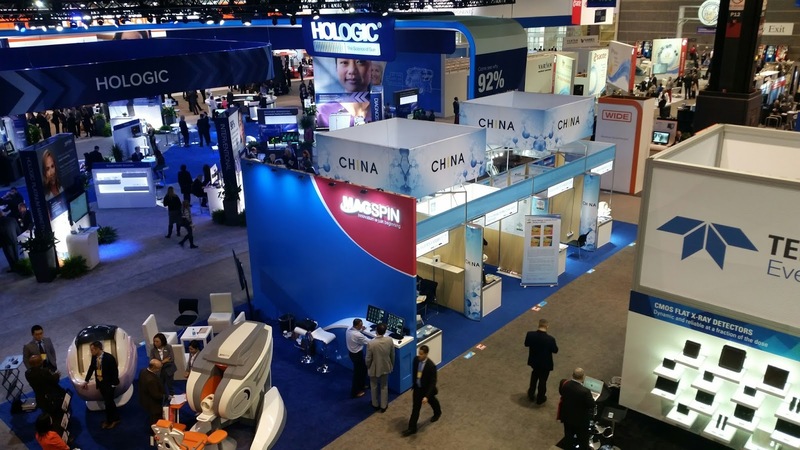 There were good discussions, and it provided a good opportunity to get up-to-date on new developments and talk with many users and vendors in a more relaxed and less crazy environment than the major big trade shows such as RSNA and HIMSS. Hopefully SIIM will proceed on their current path and next year in Pittsburg will be as good or better as this year in Portland. One of the major stumbling blocks for effective communication among PACS professionals is knowing how to speak each other’s language. 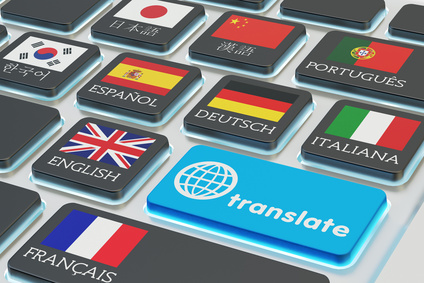 Each profession has its own lingo, set of abbreviations and acronyms, and it is even be worse among the professionals who are involved with a healthcare imaging and IT system such as a Picture Archiving and Communication System (PACS): it is as of each discipline talks a different foreign language. For example, the network engineers speak about setting up their VLAN to support the new system using DHCP to assign IP addresses to the devices, the interface specialists talk about needing an HL7 “O01” order message to map the Accession Number into the Filler order number (OBR.3), the service engineers need an AE-Title and port number to sAet up their new modality, the PACS engineer needs the specification of the SOP Class UID to add the new, enhanced breast tomo-synthesis image type to the configuration list at the PACS image manager, and the PACS administrator needs to know the DICOM attribute tags for the Ultrasound measurements in the Structured report to map into the voice recognition software. In addition, the project manager need to specify the requirements of the metadata to be stored in the VNA and review the IHE profile statements to make sure it complies with the XDS and PIX/PDQ protocol to interface with the regional Health Information Exchange to share images. If all of this sounds familiar, you are likely speaking the right language, but if not, you might want to take a language class on how to speak and understand PACS, DICOM, HL7 and IHE so you can effectively communicate with other professionals to resolve any issues that might arise. Remember, it is much more useful to communicate with a vendor in a precise, detailed manner than just say “the PACS is down” or “the images don’t make it”. In order to learn the PACS language, there are several options depending on the individual learning preferences. Research has identified 4 different learning types, these learning styles are found within educational theorist Neil Fleming’s VARK model of Student Learning. VARK is an acronym that refers to Visual, Auditory, Reading/Writing Preference, and Kinesthetic. In other words, some people have to “see it”, some have to “hear it”, some have to see and/or write down the words and others have “to do” it, i.e. need hands-on. In practice, I actually think that a blended learning environment is the best, i.e. to see and hear, write down a synopsis and make notes as well as do some practice. Getting back to learning the PACS language, you can read text books on PACS, DICOM and HL7, take a core class, for example, on-line, and/or take a hands-on seminar or do extensive practice after a class, all while taking copious notes when following the training. As a matter of fact, you might want to check the schedule for the end of July as we have 4 on-line core classes on PACS, DICOM, HL7 and IHE coming up. Hope to see you in July (virtually) and allow me to improve your PACS language! Structured Report for VNA synchronization (part 3 of DICOM SR series). parts and that concerns “specialized” SR’s. The content of each structured report is defined by its reference to a so-called template using a DICOM defined template ID, for example, TID 5000 is used to encode an ultrasound OB/GYN procedure report. There is a complete list of those templates in part 16 of the DICOM standard. For the so-called “generic” SR’s such as used for ultrasound measurements, the template ID is specified in the DICOM header so that the receiver knows how to interpret the information. The corresponding SR documents or DICOM objects are identified in a workstation worklist with the modality defined term of “SR”. What I refer to as specialized SR’s encode the used template as part of the so-called SOP Class such as used for Key Images and Computer Aided Diagnosis (CAD), similar to the ones used for Dose reporting. The advantage of supporting a specialized SOP Class is that when the DICOM connection (association) is being established, the receiver can determine if it supports this particular type of data structure and if not, reject the proposed information exchange. An example of such a specialized SR is the key image, formally called the “Key Object Selection Document,” which is used to identify what image of a study is significant or important. It is of great help for example, when the a study is quite large, let’s say a 3000 slice whole body CT scan, and the radiologist wants to identify which images contain a significant finding so that a referring physician or specialist such as a surgeon does not have to flip through all of the images, but merely selects the most important or “key” ones. This SR is identified with “KO” as the defined term for the modality, which is how it shows up in a workstation worklist. Not only can the KO SR be used to identify a target audience such as a referring provider or surgeon, it also can be used to synchronize two image management, storage and archiving systems such as a PACS and Vendor Neutral Archive (VNA). This addresses the fact that changes and deletions are unavoidable, for example, if an image was misidentified (e.g. the incorrect orientation), has a replacement image with better quality or has patient demographic errors. A PACS system administrator (SA) typically updates and corrects these types of issues at the PACS “back-end,” or, if trained properly technologists might fix their own study mistakes. Imagine that the images are managed at different locations such as in the PACS and VNA or even cloud storage, the PACS SA has to do the correction work multiple times. This is one of the most common complaints I hear from the early VNA adopters, i.e. that it doubles the work load as the number of unverified or broken studies to be fixed is duplicated at the PACS and VNA. A KO object will be created by the change initiator so that they can automatically be forwarded to all locations that have a copy of the image to be corrected. The work only needs to be done once. Unfortunately, support of this profile by PACS vendors is spotty at best; hopefully this will change as VNA’s and enterprise archiving solutions are becoming more mainstream. Implementation is relatively simple, but of course, it needs to be tested, verified, and requires most likely an upgrade of your PACS software. Knowing that some of the PACS installations are running 3-5 years behind their latest software upgrades, support is likely not there (yet). Your DICOM conformance statement, which you should be able to download from the web will specify it, look for the “Key Object selection Document Storage” support and make sure that the applicable codes to specify the reason for the changes are supported, or, better, look for the support of the IOCM IHE profile. More information can be found at the DICOM website, IHE website, and OTpedia as the resource for DICOM and PACS terminology. Otech also has a PACS, DICOM and IHE Core essentials class coming up in July which is online so you can follow this from your own desk at your own location, see the OTech training schedule.